We have the best deals in Horodnic de Sus – just enter your dates and see! Book all Horodnic de Sus hotel rooms at the lowest possible price. 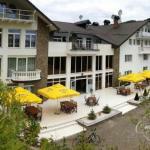 Looking for hotel deals in Horodnic de Sus? Great accommodation is so easy to find with HotelGuides.ro! You may choose from a wide selection of Horodnic de Sus hotels and make your reservation right now. No matter if you're looking for your hotel by price, location or star rating, HotelGuides.ro offers all the information you need to choose the best Horodnic de Sus hotel for your travel needs, either leisure or business. It's so easy to find and book Horodnic de Sus hotels. Just search for the perfect accommodation and make your Horodnic de Sus hotel reservation today. Interested in a Horodnic de Sus center hotel? Check and book today starting from ! 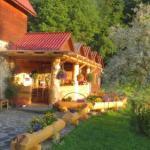 Situated in Suceviţa in the Suceava Region, 28 km from Gura Humorului, Pensiunea Silva boasts a barbecue and terrace. Free private parking is available on site.Pensiunea Silva features free WiFi throughout the property. A TV is available.Migovo is 49 km from Pensiunea Silva, while Suceava is 43 km away. 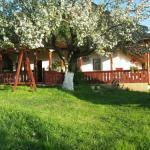 Offering a barbecue, children`s playground and terrace, Casa Avram is located in Suceviţa. The guest house has a sun terrace and views of the mountains, and guests can enjoy a meal at the restaurant.Rooms are fitted with a TV. Certain rooms include a seating area for your convenience. Each room has a private bathroom.There is a 24-hour front desk at the property.You can play table tennis and pool at the guest house. Sucevita Monastery is 1.3 km from the property, while the Moldovita Monastery can be reached in a 30-minute drive. Putna Monastery is 37 km away. 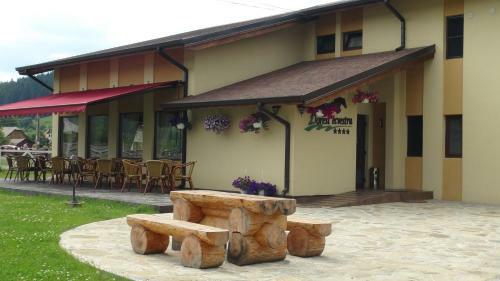 Featuring barbecue facilities and a terrace, Karisma Kriss is located in Suceviţa. All rooms boast a kitchen and a private bathroom. 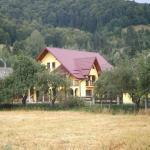 The property is set 1.9 km from Suceviţa Monastery.All units in the guest house are equipped with a flat-screen TV. Free WiFi is available to all guests, while selected rooms also boast a balcony. 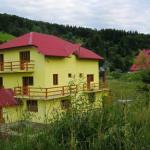 The units include a wardrobe.The nearest airport is Suceava International Airport, 50 km from the property. Enjoying a quiet location near the forest, 2 km from the Sucevita Monastery, Pensiunea Poiana de Vis offers accommodation with satellite TV, free WiFi and a garden with a gazebo.All units are functionally furnished and some are fitted with a balcony. Some have en-suite bathrooms and others have private bathroom facilities on the hallway.Guests have access to an outdoor terrace and to barbecue facilities in the garden. Meals can be served upon request, while the closest grocery shops and restaurants are within 300 metres.Pensiunea Poiana de Vis features free parking on site, and is located 300 metres from the nearest bus stop. Featuring a garden and a shared lounge, Pensiunea Letitia is set in Suceviţa. 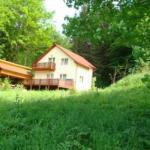 The property is located 2.5 km from Suceviţa Monastery. Free WiFi is available and on-site parking is provided.Guest rooms in the guest house are equipped with a TV. The private bathroom is fitted with a shower. 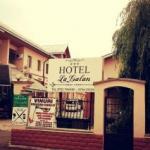 The rooms feature a wardrobe.The nearest airport is Suceava International Airport, 50 km from the property. 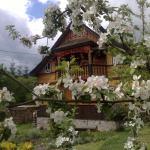 Poiana Marului Sucevita is located 7 km from the Voievod Ski Area and offers a garden, barbecue facilities and free WiFi access in all areas. 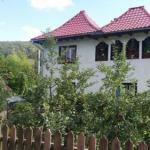 Free private parking is possible on site.The units at Poiana Marului Sucevita are fitted with cable TV and a bathroom with shower or bath tub. The apartment also features a balcony.Guests can use the shared kitchen on site. A grocery store is 200 metres away and a restaurant is 300 metres from the house. The Sucevita Monastery is 2.5 km away. 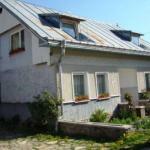 Located in Suceviţa, Casa Mora offers accommodation units with a balcony, free WiFi and a garden. Private parking spaces are available on site free of charge.The units at the Mora all come with cable TV and private bathroom facilities. Additionally, the apartments feature a seating area with 2 sofa beds.On request, breakfast can be served daily at the property. Several cycling and hiking trails start directly on the premises.